Sometimes raccoons pressure me into eating things. I like to eat most of the things I find. Leaves, cans, unidentified animal parts, flowers, leftover human things in human tents, human tents, sticks, air. Eating is one of my favorite things to do, so it is generally very easy to convince me to eat nearly anything. A raccoon I met recently proved to me there were exceptions. It was in a dumpster behind a drug store where I found a plastic bag filled with a very dark liquid that smelled strange. I poked around it for a bit. I sniffed it. I tasted it. I even lapped a bit of the liquid into my mouth. It was sour and unpleasant. It was one of the first things I had found in a dumpster that I did not want to eat right away. Right as my snout pointed toward the next direction I was going to scavenge for more eats, a raccoon startled me. It did not make a single sound. Its bushy, striped tailed sprung up as it walked toward me. For some reason, I felt compelled to walk backward as it approached. I could have easily ignored the creature and ran into the forest, but something made me take a step back. And another step. And another. I kept creeping back as the raccoon walked nearer and nearer until my hind quarters smacked the dumpster I was originally walking away from. The plastic bag was there. The raccoon saw it. She poked around it for a bit. She sniffed it. She tasted it. She even lapped a bit of the liquid into her mouth. She kept lapping the liquid. Was it not sour and unpleasant to her? Why did this strange matter not bother the raccoon? Was she immune? Did she know something I did not? Every question I had was interrupted when she turned her sharp looking face toward me with her teeth gritting, her wild sneer blinding my thoughts. She stared. I stared. This inaction went on for a very long time. The hot sun baked the unpleasant liquid as exchanged intensity through our eyes. Finally, the raccoon snapped her jaws around the plastic bag and dragged it toward me. I had no idea what she wanted at first. I tried to back away. More hissing. I tried to sit and continue the staring. More hissing. I tried to speak of my discomfort. More hissing. After a great deal of trials and errors and mistakes and hissing, I figured out what the raccoon wanted. I pushed my nose into the plastic bag. The hissing quieted. She continued to stare. I averted my eyes away from the bag and toward her. Light hissing. I put my face into the plastic bag. No hissing. The smell was awful. The taste was now sour and warm. It was terrible. The raccoon kept staring, her glare keeping my brain frightened and my nose nestled in the bane of my senses. Before long, the liquid was inside my belly, rumbling my insides and making me dizzy. It was gone, though. But so was the raccoon. I looked all around me, trying to figure out exactly what had happened here. Was she merely a figment of my imagination? Did my mind conjure an aggressive raccoon to make me experience something I shied away from? Why am I so afraid of raccoon hissing? This experience left me questioning many things about my personality and what I know about the forest and its inhabitants. It also led to some of the most terrifying sounds my belly has ever made. But like with any experience, I did learn something. 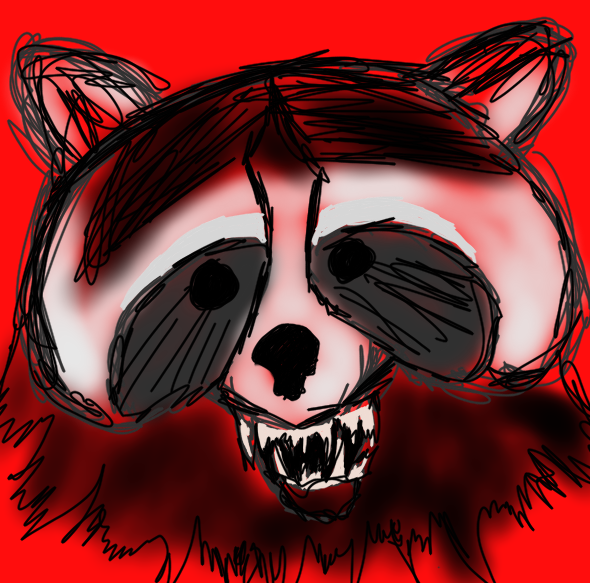 Raccoon sounds are fear-inducing demonic screeches that can drive you to insanity. I do like raccoons, though. 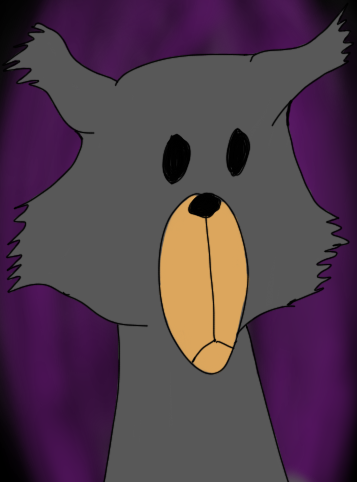 “Boris the Bear’s Circus Adventure Extravaganza of Suffer for Lonely, No” is the latest adventure you can read on helloiamabear.com! Please enjoy! This entry was posted in Bear thoughts and tagged bear, bear thoughts, dumpsters, horror, humor, mystery liquid, nature, raccoon on May 25, 2015 by A bear.